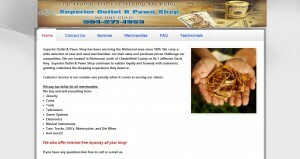 Superior Outlet address, phone, website, hours of operation, and more. 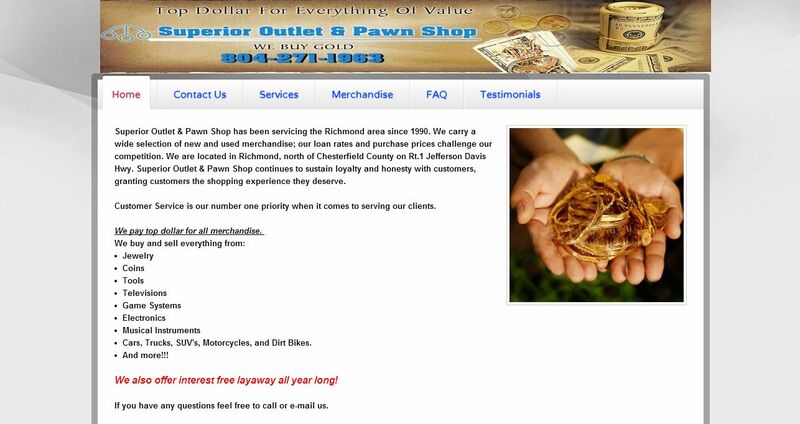 Superior Outlet & Pawn Shop has been servicing the Richmond area since 1990. We carry a wide selection of new and used merchandise; our loan rates and purchase prices challenge our competition. We are located in Richmond, north of Chesterfield County on Rt.1 Jefferson Davis Hwy. Superior Outlet & Pawn Shop continues to sustain loyalty and honesty with customers, granting customers the shopping experience they deserve.